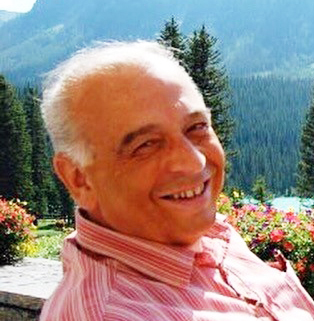 Denis Joseph Alcide Magnan, passed away in Calgary on March 30, 2019, at the age of 71 years. Denis is survived by his wife Marilyn (née Blain); his children, Pierre (Dory), Bernard (Shawna), André (Karley), David (Claire), and Caroline (Pierre); his grandchildren, Genève, Maëlle, Loïc, Pascal, Rose-Léa, Xavier, Gabrielle, Olivia, Emmanuelle, Roméo, and Zoé; his brothers, Alcide (Cécile), Vincent (Diana), and Marc (Tamara); his sister-in-law, Annette; as well as numerous nieces, nephews, family and friends. Denis left us Saturday night, after having sung Mendelssohn’s Elijah with the Calgary Philhamonic Chorus. He sang with heart until the intermission when he sought out Marilyn and went to give her a kiss. Just before going back on stage, he suffered a heart attack and died peacefully at the Foothills hospital less than an hour later. Denis was born in the francophone village of Beaumont in 1948, son of the late Gérard and Liliane (Goudreau), older brother to Roger, Léger and Raymond (deceased), Alcide, Vincent and Marc. He met the love of his life, Marilyn, while they were high school students in Falher. They also studied together at Collège Saint-Jean in Edmonton and were married in 1970. Denis had a vibrant career as an entrepreneur, manager and human resources director. He was deeply committed to the francophonie and devoted himself to his community in various capacities. He was President of the Association culturelle franco-canadienne de la Saskatchewan and Fondation Franco-Albertaine, and Director General of the Association Canadienne-Française de l’Alberta and the Fédération des aînés Franco-Albertains. He received the 125th Anniversary of the Confederation of Canada Medal in 1992. Music was very dear to him—he found it to be the soul’s most profound voice. A piano virtuoso, he loved opera and classical music and enjoyed the blues and other musical styles. He rejoiced in sharing his love of music with his family and community as an accompanist at church and for a seniors’ choir. During the 60s, he was a member of the musical group called The Mickeys. He was also a member of Chorale Saint-Jean for many years and found great joy in participating in its tours in Quebec and France. Denis fulfilled his musical dreams while singing with Chorale Saint-Jean at Carnegie Hall in the spring of 2018. A great humanist, kind and endowed with a lively spirit, Denis was an unparalleled husband, father and grandfather. He was wise, generous, humble and curious. We will remain profoundly touched by his unconditional love, his contagious laughter, his listening skills and his joie de vivre.